For the love of God, please make these the every day uniforms. There’s been a lot of buzz around the big moves by the Pale Hose in the offseason, and they look in pretty good shape for improvement after back-to-back losing seasons. The AL Central is going to be insanely competitive this year, and I’m not sure that they have all the parts to wind up on top (like how they don’t really have a bullpen). Any talk of being in the postseason hinges on Chris Sale returning healthy and only missing a couple of starts. Jose Abreu, Jose Abreu Jose Abreu. JOSE ABREU! 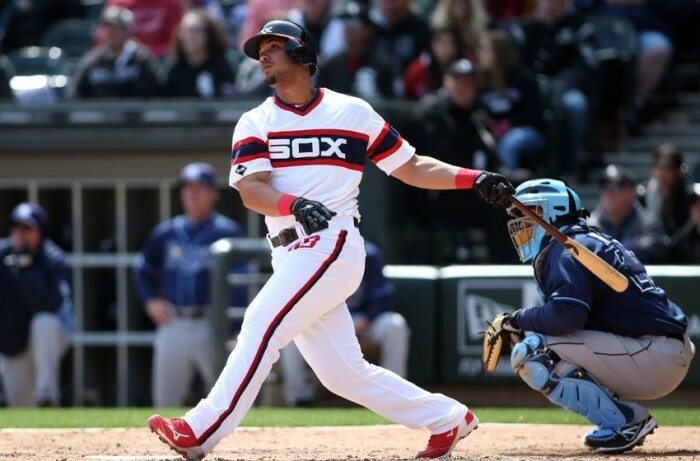 Jose Abreu (Jose Abreu). Jose Abreu Jose Abreu Jose Abreu Jose Abreu Jose Abreu Jose Abreu Jose Abreu Jose Abreu Jose Abreu Jose Abreu Jose Abreu Jose Abreu Jose Abreu Jose Abreu Jose Abreu Jose Abreu Jose Abreu Jose Abreu Jose Abreu. Tyler Flowers C Flowers isn’t much of a hitter, with a career BA hovering around the Mendoza Line, but he does provide above average defense and provided the Sox with a solid 2 wins above replacement last year. This will be his second year as the starting catcher, but if Soto is healthy and Flowers struggles, he could unseat him mid-year. I think it’s really annoying that a guy playing professionally outside the US can just waltz in here and win Rookie of the Year. I mean he was technically a rookie, but at 28 is actually in the prime of his career and is just one of many great players to come out of Cuba and continue that success after transitioning to the MLB. He’ll be in the discussion as an MVP candidate if he continues to destroy baseballs and generally tear it up. The White Sox have an absolute glut of decent infielders this year, but it looks like Johnson, who has never appeared in a major league game will be the starting second baseman. He’s a big prospect for them, and if he doesn’t work out they have another in Carlos Sanchez. Fleet of foot, Johnson could be a potent weapon both offensively and defensively. Robin Ventura no longer has to hit Ramirez 2nd in the batting order now that the Sox have Melky Cabrera. Ramirez had a solid year last year, taking a trip to the All-Star Game and collecting a Silver Slugger award. He could possibly have an even better year at the plate hitting lower in the order. His defense remains unquestioned, unless you go over to baseball-reference.com and realize that he actually isn’t all that great if you actually look at the numbers. If the White Sox are to contend this year, they’ll need the Gillaspie from the first half of last year, where he put up some great numbers. If he’s the guy from the second half, they’ll be in trouble and could turn to Bonifacio or Beckham. He’s currently dealing with plantar fasciitis and has looked pretty weak all spring, but has not missed any time due to the issue and is in the Opening Day lineup. Look out for his brother, who was a 1st round draft pick of the Tampa Bay Rays. Melky had a whirlwind of ups and downs during the 2012 and 2013 seasons. His numbers were fine and he was an All-Star in 2012, but he did go on the DL several times, had a tumor removed from his back, and then got suspended for PEDs in the months following. None of that sounds very fun. He had a bounce-back year last season and he should be a solid addition to the squad. Word is that Cabrera is great teammate (despite the cheating). He’s a hits machine and I’m sure you’re familiar with him if you’re a baseball fan. Last year’s triples leader, and the Sox leadoff hitter looks to keep on rolling this year. He’s a speedy guy who’s job it is to get on base as a prototypical leadoff man. He will quietly put together another great season. Once known in the Tigers system as ‘mini-Miggy,’ Garcia was acquired in 2013 in the big three team trade between the White Sox, Tigers and Red Sox. This year, the main thing Garcia needs to do is avoid the injury fairy which has visited him frequently and kept him from appearing in more than 75 games in a season in his short career. So far he hasn’t put up consistent numbers, but everyone thinks his ceiling is Miguel Cabrera … and yeah. Comps man. They always pan out. DH: Adam LaRoche Replacing Paul Konerko is no easy task, especially in clubhouse leadership. At 35 years of age, LaRoche is being asked by the Sox to at least try. LaRoche comes over from the Nats in the first year of a 2-yr deal. He grew up in baseball, both his father and brother played in the majors. He should be a steady, veteran presence who’s never been an All-Star but who has postseason experience. The biggest two storylines here are as follows: Will Chris Sale be healthy and only miss one or two starts? The second is when will Carlos Rodon be called up? If both are in the rotation and healthy things look really good. If they’re relying on Noesi and Scott Carroll midseason, something has gone terribly wrong. Creepy meth-head lookin’ left-handed scarecrow man who is good at getting outs will have to at least sit out Opening Day with one of those freak injuries baseball players seem to always get right before the season starts. You know, like when they trip over their dog or get a foot ran over by an ATV. This is full of mystery and intrigue because Sale will not reveal how he injured himself at home. There are rumors that he roundhouse kicked an intruder, which is sort of badass. If he misses more than two starts, the White Sox are probably toast for the year. As it stands now, he will pitch April 12th. The pitcher with the most Chicagoish sounding name returns to Chicago after only a few months away. The Cubs traded him to Oakland midyear for their playoff run and now he’s across town with the Sox. He’s a huge upgrade to their rotation. Another good young lefty to go along with Chris Sale. He’s sorta flown under the radar mostly because he’s been on really bad teams. His stock will probably rise if the White Sox do well this season. This will be his third year as a member of the Sox rotation, and he has already accrued 11 WAR over that time. The Sox locked him up long term so this bodes well for their future. I really don’t know what else to write about him. Is about as good as the images his name conveys at this point in his career. He’s pretty dank. Actually, that’s kind of mean. He’s not that bad. Right now he sits just above league average. He had a couple of sterling seasons in from 2008 to 2010, then had shoulder surgery and after that he never really regained form. If he puts up an ERA this year under 5 and eats 200 innings I’m sure the Sox would take it. He’s only 29, so if he somehow returns to his former self it could completely change the landscape of the AL Central—but he probably won’t. Noesi has bounced around quite a bit in a short career and has seen time both as a starter and as a reliever. Fan consensus seems to be that he’s not very good. Last year he lead the majors in home runs allowed, but also had his career-best ERA, just under five. The White Sox have named him their 5th starter, so we’ll see how that goes. I’m sure eventually Rodon will bump him to the bullpen, and the sooner the better. One of the most anticipated prospects who will start out the year in the minors but can’t stay their for very long. Sox fans are frustrated that he won’t start the season in the rotation but I think it’s a Kris Bryant type thing (if he stays in the minors for two weeks the team can delay his free agency by an entire season). There currently no timetable for him to be called up, but assume the rotation struggles forcing the team’s hand. Sent to the minors but could be a spot starter … not much upside for a 29 year old rookie only called up in an emergency. Ok, so they signed a decent closer and a decent setup man and then got sidetracked and also stopped trying. Look out for lots of messy arms that should be in the minor leagues. If some of them figure it out quickly, that would help the Pale Hose contend, but teams who contend usually rely on a bullpen that already has things figured out. He was supposed to be the new Yankees closer after Rivera retired but only had the gig for one year before free agency. The Sox scooped him up and are paying him what a back end starter would make. If his arm soreness is only a minor issue, he should be what a closer should be. Spending lots of money on relievers is generally a bad idea though, as they tend to be super volatile. Broke off one of the better pieces of the Brewers bullpen. In acquiring the former All Star, the Sox at least have two relief pitchers that have a history of some success. Zach #2 is a much less-known quantity than Zach #1. He’s coming off a year where he had an ERA under two, but just a year before had an ERA of nearly 19. With the bullpen concerns that the White Sox have, they’re hoping he can replicate last year’s success. That is not the most likely scenario, as he is a volatile relief pitcher who is probably due for some regression. I should also probably mention that he had a rough spring training which further casts doubt on his role. Has good numbers from his time with the Marlins and probably best known for getting hit in the face by a batted ball last year. I just watched him intentionally walk Kendrys Morales to load the bases for Alex Gordon. It did not end well. A bright spot in the bullpen who will start the season on the DL. Warm body who is a middle of the road middle reliever. Has bounced around quite a bit, and is that guy who can be a fresh arm in a game your team is going to lose. Son of Doug Drabek who sadly does not have his father’s stuff. He came on in relief during the Opening Day game and got absolutely destroyed by the Royals. After 26 games with the Angels, Beckham has returned to the only other club he’s ever played for. He has never really lived up to the potential he showed in his rookie campaign, and now that the team is trying to win baseball games, he will probably be relegated to the occasional defensive replacement. I guess he’s the 4th outfielder. He did have a solid 2013 with the Angels, but hasn’t done much since then. Was battling with Micah Johnson for the 2B job, and should be in the minors because the club already has two utility infielders. I’m assuming the only reason he’s here is because there are not enough guys to fill a seven-man bullpen. He is a speedy super utility guy who bounces around a lot. He’s not really a team player and insists that he’s a starter. George Kottaras and Geovany Soto are in the mix for backup catcher. Kottaras will start out the year in the minors, but you gotta have depth here if Flowers struggles to hit and Soto goes down again. Soto was RoY and an All-Star in 2008 but injuries have severely limited his playing time. I know one game shouldn’t affect the trajectory of a baseball team’s year but after watching the White Sox play the Kansas City Royals and watching them get massacred I really do not see this team being much better than they were the past two years despite all of their upgrades and glowing write ups by sportswriters. The looked absolutely clueless defensively, and Samardzija was systematically dismantled by a weak-hitting team and almost became unhinged, intentionally throwing at Lorenzo Cain after a Mike Moustakas home run. What I saw here was the start of a long season (EDIT: They got swept by the Royals, so there is that). The team is moving in the right direction and should be set for playing some competitive baseball for the next few years. Carlos Rodon is a top prospect in the game and Micah Johnson should be really good. There are more prospects coming up, and one to look out for is shortstop Tim Anderson. After that, look for lots more questionable free agent signings.